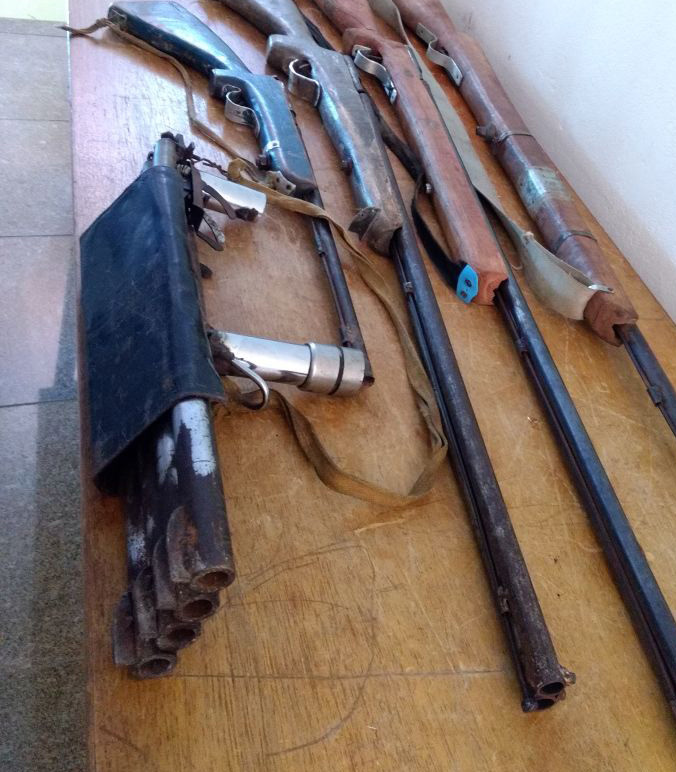 This entry was posted in Shotguns, Single-shot pistols and tagged armas, Desi Katta, DIY, DIY shotgun, espingada, Ghost Gun, Ghost Guns, homemade firearms, homemade gun, homemade guns, homemade shotgun, homemade shotguns, make a shotgun, Not 3D printed, pipe shotgun, Professor Parabellum, tamancha on December 22, 2018 by ImproGuns. 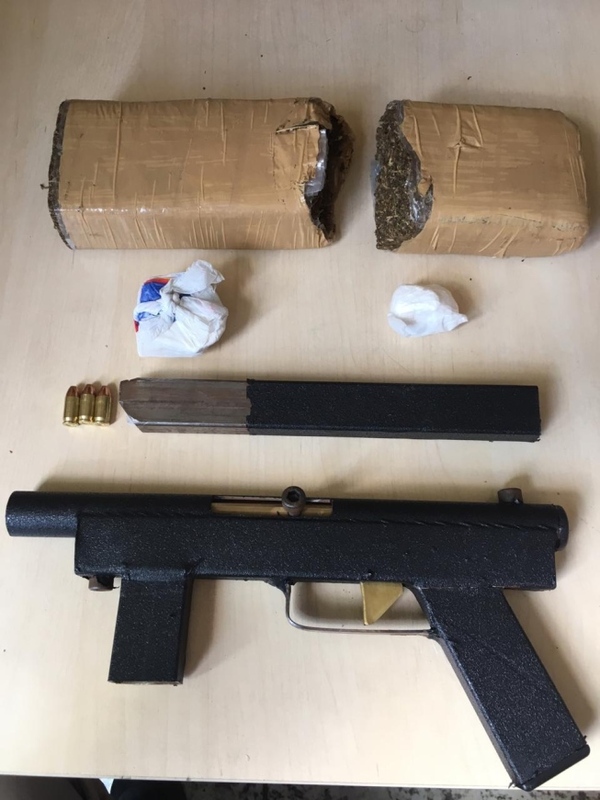 Seized in earlier this month in Espirito Santo. 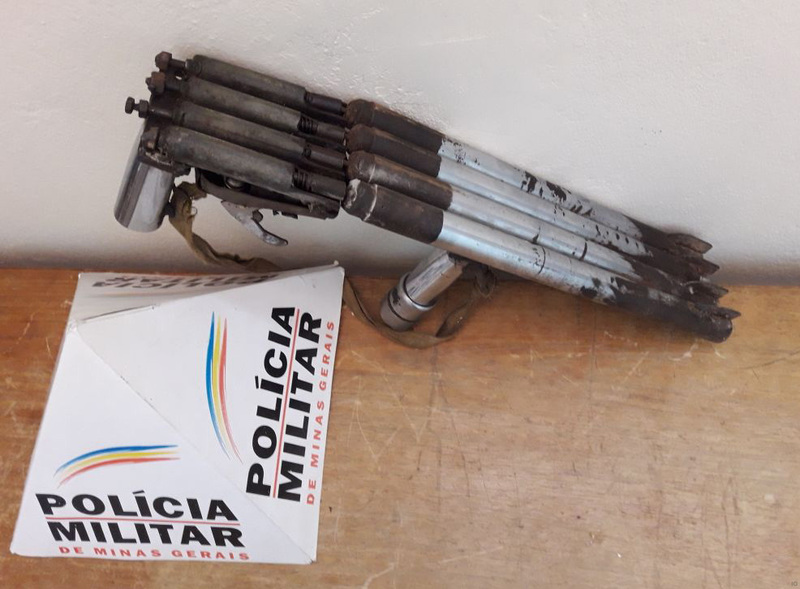 This entry was posted in Submachine guns and tagged Brazil, crime, gun control, guns, homebuilt guns, homemade firearms, homemade gun, homemade guns, homemade pistols, homemade SMG, homemade submachine gun, homemade submachine guns, illegal firearms on December 15, 2018 by ImproGuns. 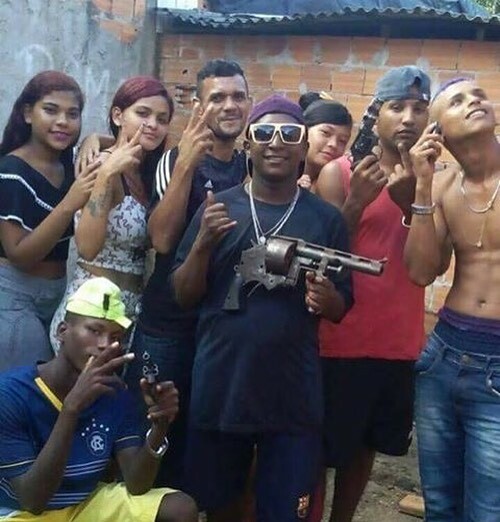 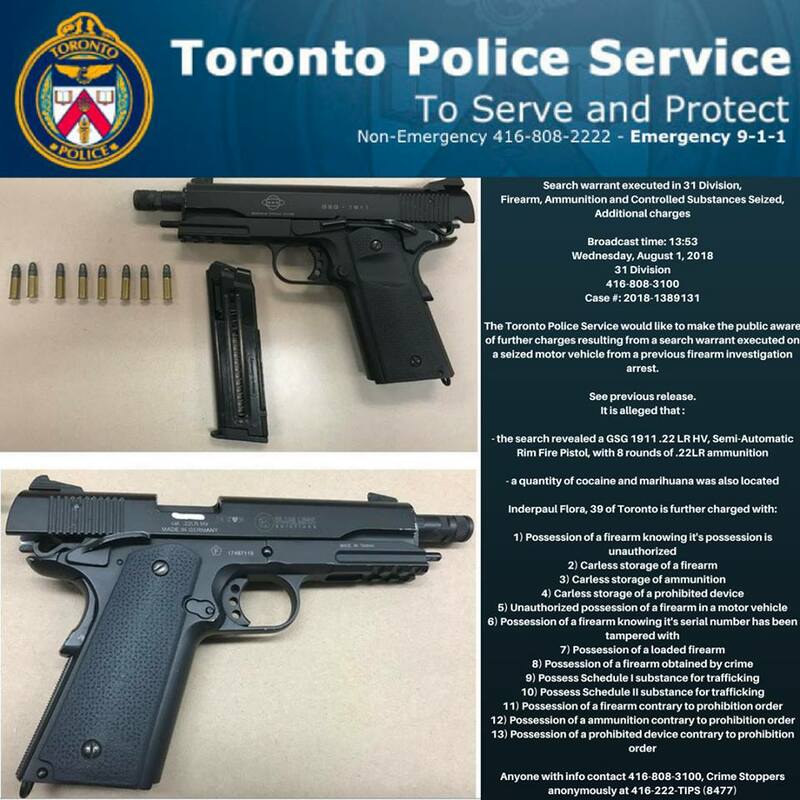 Since drafting this Ontario police have arrested and charged multiple individuals involved in the manufacture and distribution of handguns assembled in an identical manor, likely being the source of the examples below. 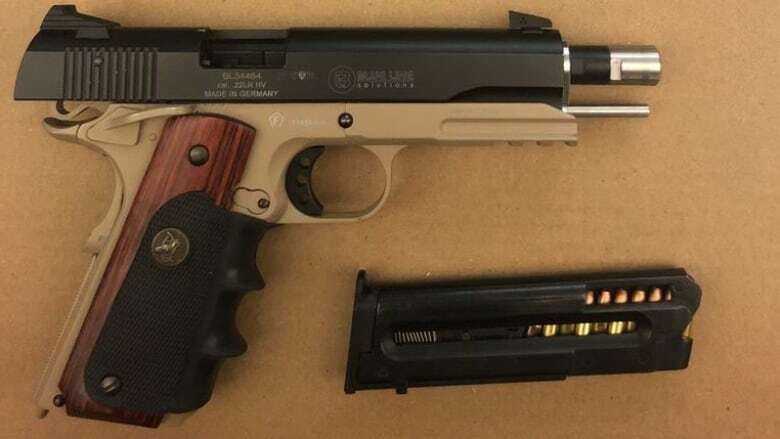 A firearm seized from a male suspect on 28th August in the city of Mississauga, Ontario CA appears at first glance to be conventional though is in fact illicitly manufactured from a combination of non-firearm parts. 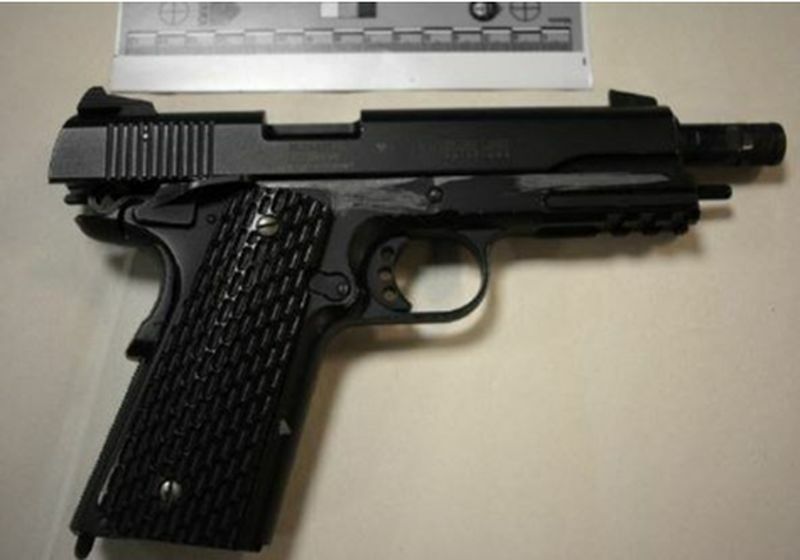 The body of the weapon including the frame (receiver) and trigger mechanism is that of a common gas powered replica Colt 1911 6mm airsoft / .177 BB pistol which is manufactured in Taiwan. 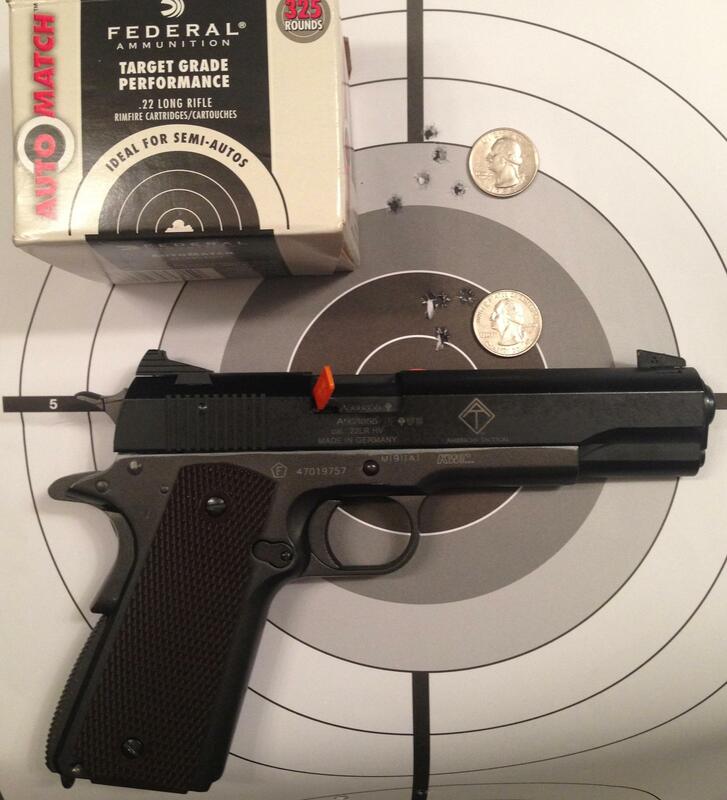 The ‘F’ within a pentagon mark present on the frame indicates a muzzle energy not exceeding 7.5 J (5.5 ft⋅lbf) usually added in accordance with German law. 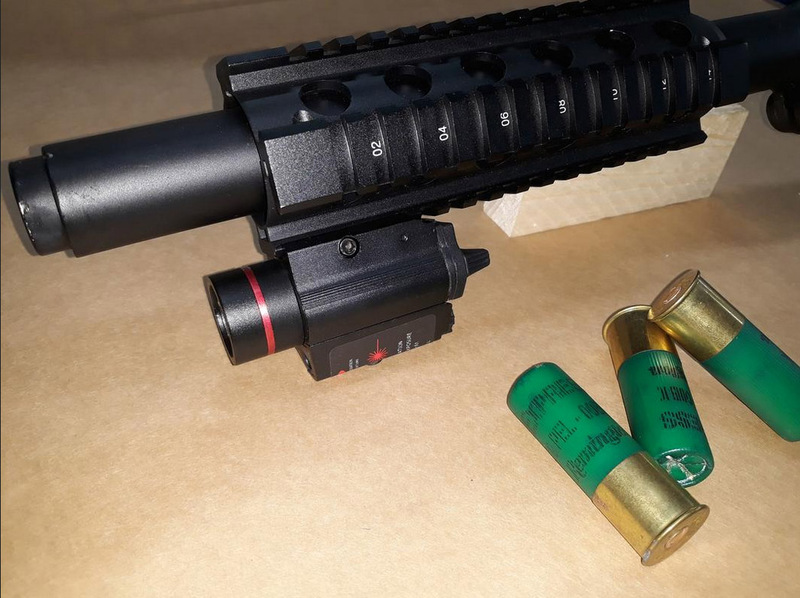 This appears to have been combined with a conventional .22lr slide which is branded with a Blue Line Solutions logo and made in Germany, likely by GSG (German Sports Guns). 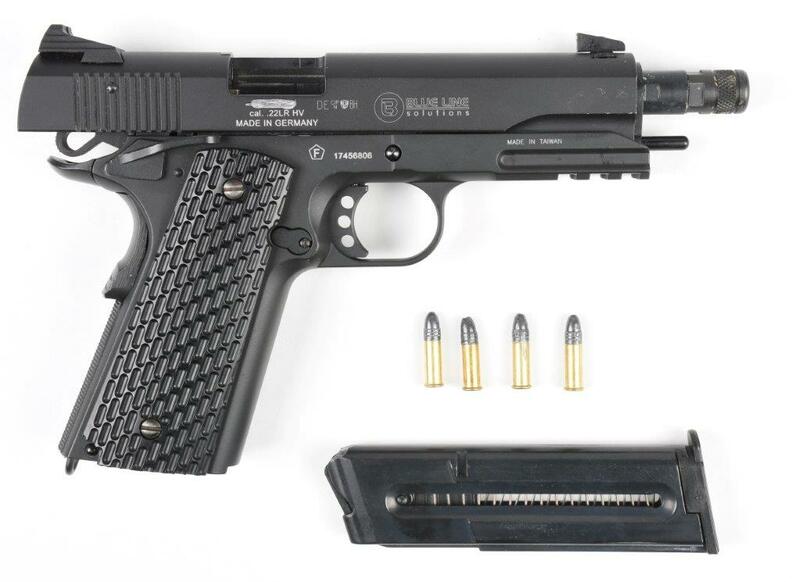 All parts required in this case are available as conversions kits from the likes of GSG and others which usually include the slide, barrel and magazine, ready to drop onto an unmodified full-bore 1911 pistol frame assembly to allow the use of smaller .22lr cartridges. 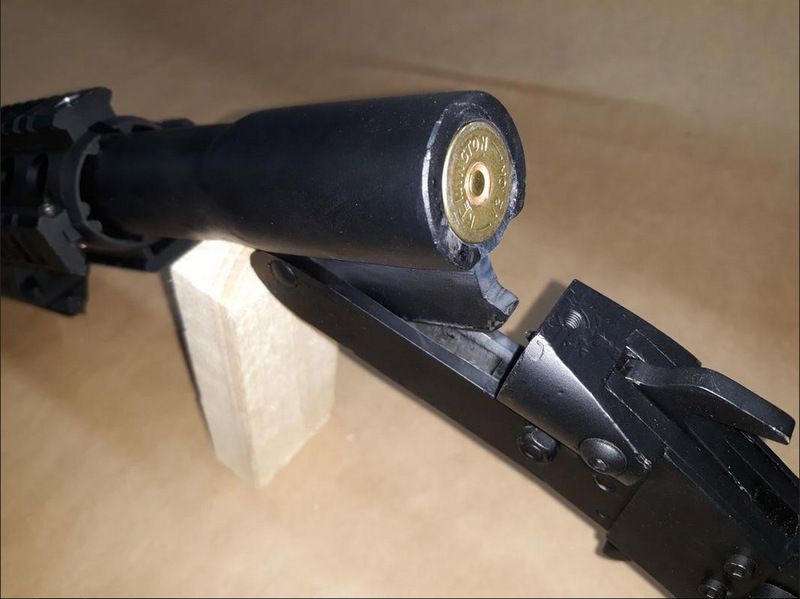 In this case very little modification is required to the airsoft frame to allow the .22lr conversion parts to function, the results having been documented by in videos and forum posts the past. 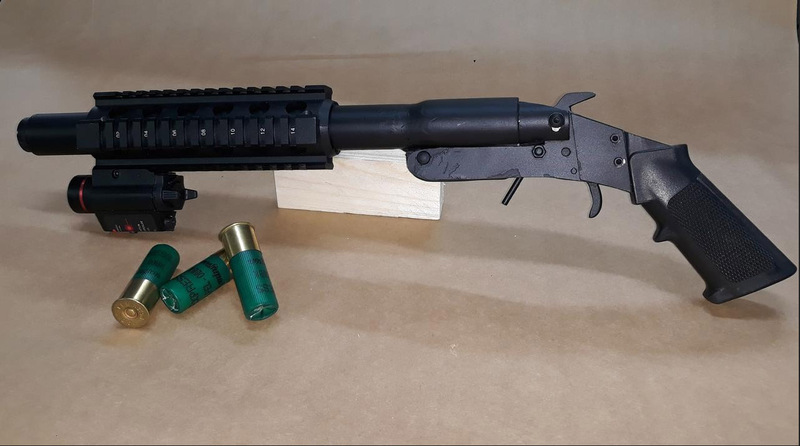 This entry was posted in Semi auto pistols and tagged .22lr pistol, airsoft conversion, airsoft converted, Canada, converted firearms, converted replica guns, converted replicas, Ghost Guns, homemade, homemade firearms, homemade gun, homemade guns, homemade guns Canada, homemade pistols, improvised firearm, Not 3D printed on December 12, 2018 by ImproGuns. 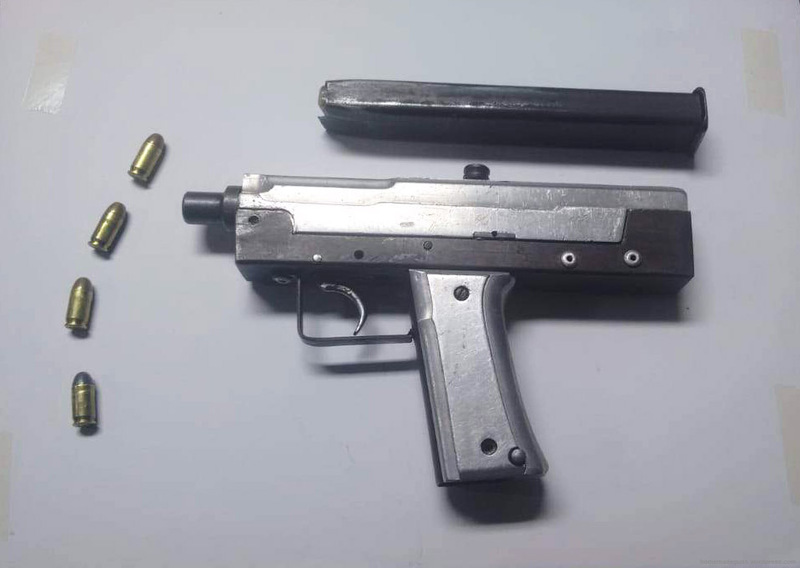 A homemade .380 semi-automatic pistol more than likely based on the widely available DIY Sheet Metal Self-Loading Pistol plans. 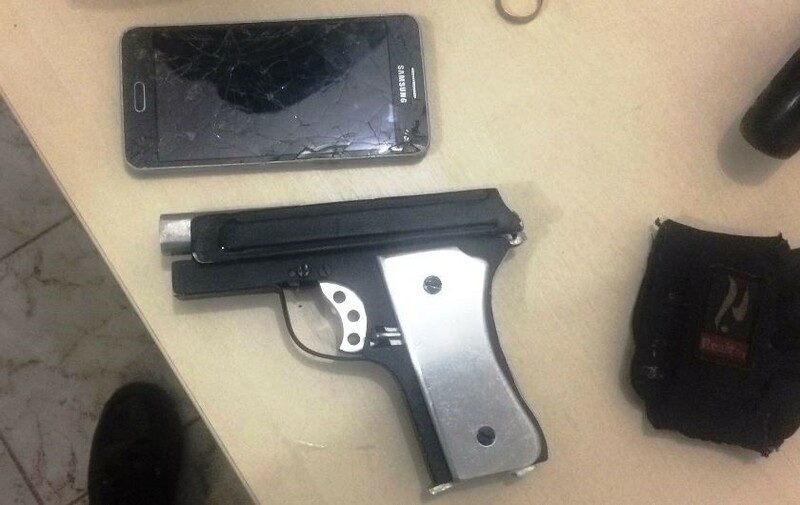 This example was seized in September in the Brazilian state of Espirito Santo. 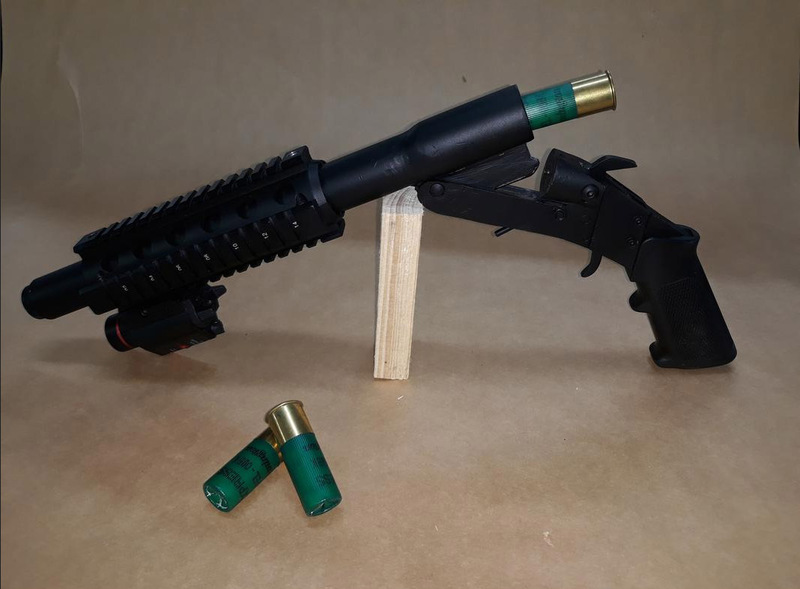 This entry was posted in Semi auto pistols and tagged Brazil, DIY, firearms, Ghost Gun, gun control, homemade firearms, homemade gun, homemade pistols, homemade semi auto pistol, Not 3D printed, Practical Scrap Metal Small Arms, Professor Parabellum on December 9, 2018 by ImproGuns.